“Total Quality Meter by Meter”, this is Casfil’s motto. An ISO 9001 certified company which complies with all exigencies to obtain the best results during manufacturing process with the help of specialized equipments and experienced professionals. 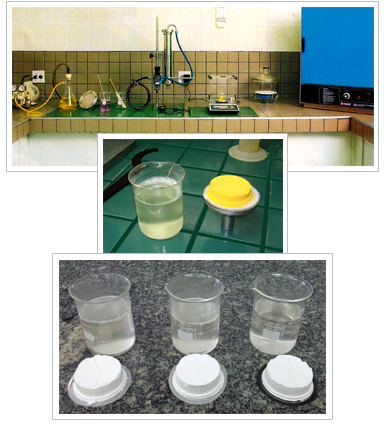 Thanks to our own laboratory, we can perform filtration tests to suggest the best fabric to our clients’ application. The excellent performance of our products begins at fabric’s weaving strictly according to the specifications to withstand extreme conditions of pressure, chemical attacks and temperature. Following this idea, we implemented the “Total Quality Meter by Meter” control..
Our rigid quality control system consists in analyzing each fabric roll from its appearance and weaving defects to physical tests. 2014 - Casfil all rights reserved.